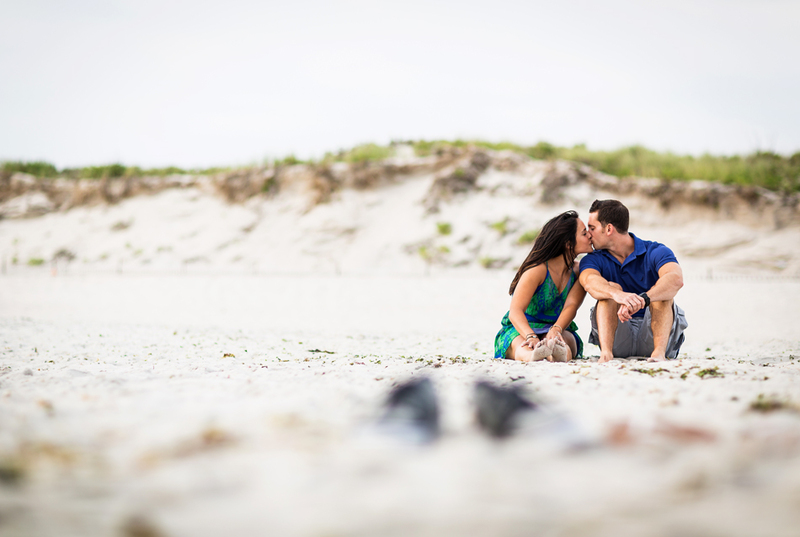 Christine and Dennis decided the beach would be a great location for their engagement session. It was a perfect choice! Early evening on the beach is magical! Despite almost falling on slippery rocks, we managed to stay safe and have a great time! I had no idea how hard it was to fly a kite on the beach until this day, wow that sure was funny to watch! 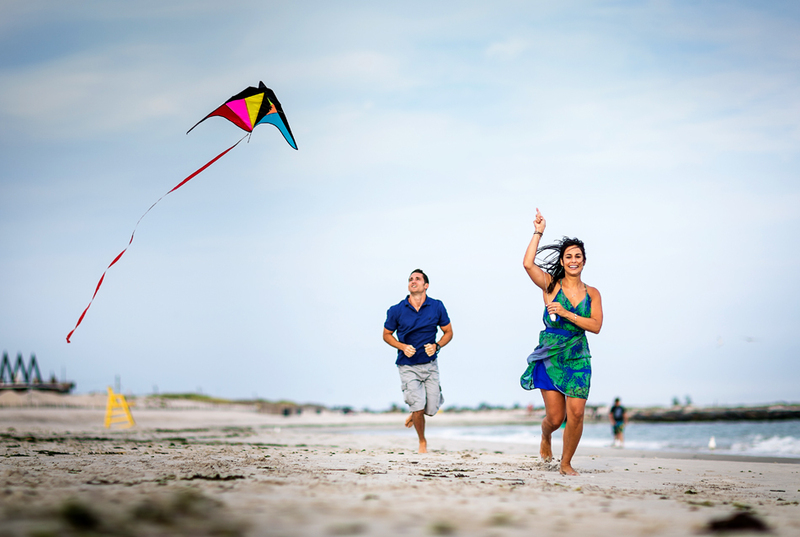 If you want to crack up, put 3 people on a beach with a kite that aren’t avid kite fliers. Christine and Dennis are an awesome couple and a ton of fun to hang with. 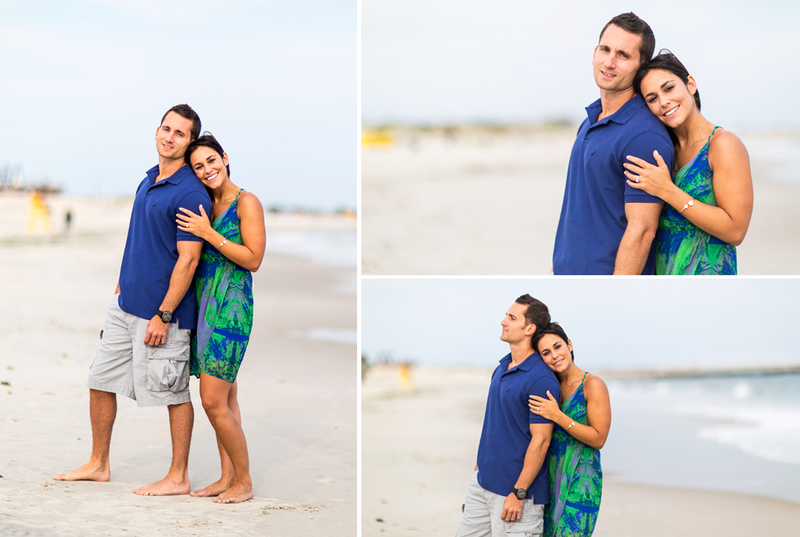 I cannot wait to shoot their wedding In April of 2014! This entry was posted on Thursday, September 5th, 2013 at 11:00 am. 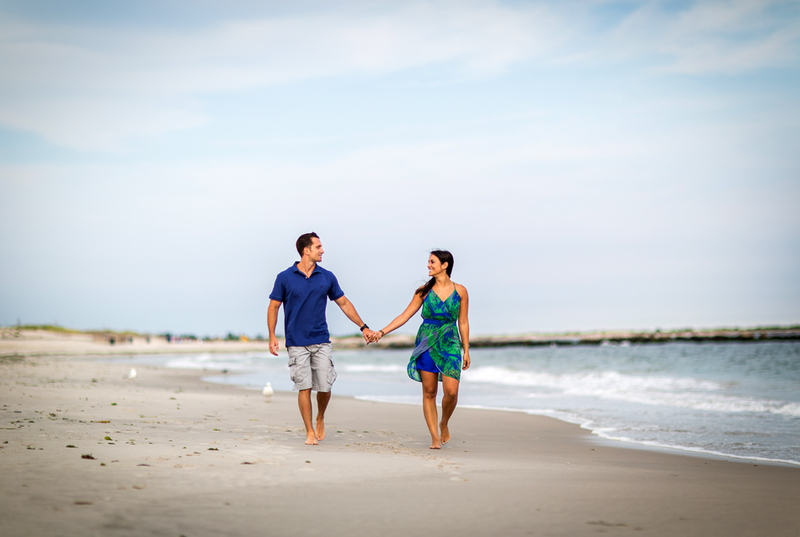 It is filed under Client Albums, E-Sessions and tagged with beach, couples photos, e-session, engagement, engagement shoot, esession, long beach, long island wedding photographer, Point Lookout, redsweatshirtphotography, theredsweatshirt, wedding. You can follow any responses to this entry through the RSS 2.0 feed.